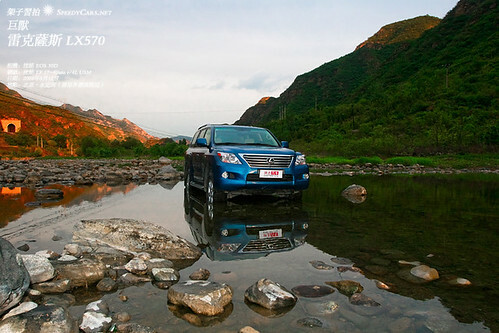 After a year’s absence, Lexus has brought back the elegant LX570. The luxury SUV model returns with a loaded new interior with features such as new mahogany wood trim, an update instrument panel, and new color display. The model also sports a redesigned exterior with the Lexus spindle grille, new bumper designs, new headlight design, larger fog light bezels, and new taillights. The 2013 Lexus LX570 changes help deliver a model that offers plenty of power and a cabin full of convenience and luxury. With exterior color choices that include: Mercury Metallic, Satin Cashmere Metallic, Noble Spinel Mica, Black Onyx, Noble, Spinel Mica, and Nebula Gray Pearl, buyers have plenty to choose from. 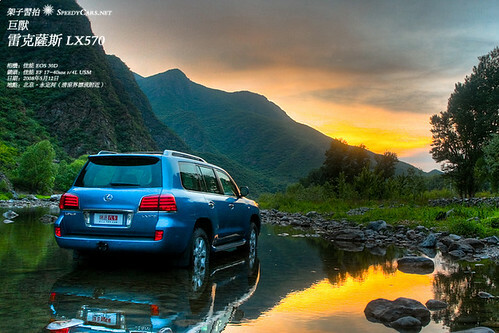 The 2013 Lexus LX 570 retains its powerful 5.7L V-8 engine. The result is 383 horsepower delivered via a 6-speed automatic transmission, enough to carry a full load of passengers and cargo with ease. The 4-wheel drive is also back, making this the ultimate off-road luxury vehicle. The LX 570 can tow up to 7,000 lbs. with ease, and it shares its body-on-frame design with the Toyota Land Cruiser, a vehicle renowned for its off-road capability. The LX 570 is rugged enough to handle the most uneven terrain without the need to introduce a special off-road performance package. On the downside, the ride is a bit rough and passenger comfort can be somewhat lacking. Because this model is not a crossover, handling on curves leaves a lot to be desired, and the LX570 has a higher than average roll tendency when compared to other full-size SUVs or crossover vehicles. The 2013 Lexus LX 570 handles just fine around town and at high speeds, but braking can be an issue. The stop distance from 60 mph is greater than most other full-size vans or utility vehicles. One of the nice features of this model is the height-adjustable suspension, allowing the entire vehicle to be raised or lowered more than two inches. The crawl control feature is another plus. This assists greatly when traveling over rock-strewn terrain or negotiating dirt roads filled with potholes. There are three ride modes – Comfort, Middle and Sport – from which to choose, delivering three different amounts of power that result in three different fuel consumption rates. Lexus has thrown in a few extra amenities on the 2013 model including an upgraded navigation system and a slightly better interior fabric. There are now 83 cubic feet of cargo room when the second and third rows of seats are folded down. While this may seem ample for most, it is diminutive compared to the Cadillac Escalade. The LX 570’s Intuitive Park Assist has a pair of cameras for easy backing into tight spaces. The center console has a direct refrigeration unit to keep bottles and cans cold. There is now a curved bottom to the console storage area that makes it easy to stow bottles and cans that have odd-size bases. The 19-speaker Mark Levinson audio system is first-rate and provides rich, powerful sound throughout the cabin. This year’s model also has available African Bubinga wood trim. The second row of the LX 570’s seats has power adjustment, and the rear entertainment system is an available option. The cruise control is radar-adaptive, the new Enform system allows driver and passengers to access Facebook and Pandora directly through the vehicle’s audio components, and the navigation system includes Bluetooth®. One area the LX 570 does not excel is in fuel economy. Its large engine is truly a fuel gulper, and the figures from the EPA are not for those trying to minimize their fuel expenses. The 2013 Lexus LX 570 averages only 12-mpg city and 17-mpg highway making it one of the least efficient SUVs on the roads regardless of size or weight. In comparison, the larger 2012 Infiniti QX56 is rated at 14/20. The high sticker price of the model, which tops $80,000, will not come as a surprise, nor will the price of the available options. The 2013 Lexus LX 570 changes offer a lot of appealing features for buyers, but vehicle shoppers will need income well into the six figures to obtain the many luxuries found on this behemoth.